A New History of Animation guides readers through the history animation from around the world. Topics covered include: optical toys and magic lanterns; early cinema, magic, and the foundations of the animation industry; the relationship of comics to early animation; animation as a modern art in 1920s Europe; the emergence of the major US studios; animation style at Disney, Fleischer, and Warner Bros., types of comedy; animation during wartime; stop-motion; working directly on film; youth audiences and animation in the 1960s; early television animation; advertising; games; animation from Eastern Europe; the Disney renaissance; creator driven television series; the development of college programs; short films and festivals; the rise of computer-generated animation; franchising; Hayao Miyazaki and others in the Japanese animation industry; international development in the UK, Brazil, and numerous other countries; and animation in the art world, including installations and projection mapping. Examples go beyond the most commonly discussed examples of animation in an effort to represent work from around the world and in a variety of contexts, including many works by women in the field. The work discussed ranges from character animation to abstract and everything in between. It is based on lectures given by the author in her year-long history course at California Institute of the Arts, where she is Program Director of Experimental Animation. 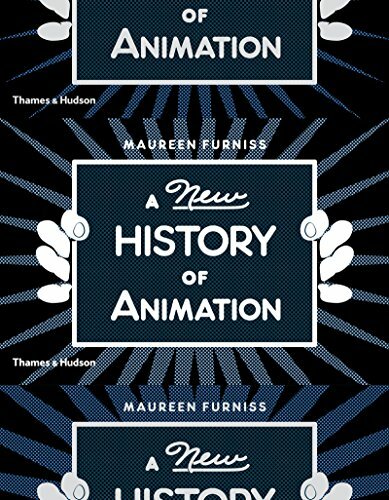 This book is written for all readers, from those who are fans of animation to college students and researchers looking for a comprehensive historical account of the field. The author’s writing style is easy to read, with clear explanations of each studio, film, and artist included in this broad-based book, suitable for casual reading or as a college textbook. It contains 460 color illustrations, ranging from studio productions to independently produces shorts, visual effects, paintings, studio documentation, and more. Various side articles provide details that explain how animation developed within social, industrial, historical, and cultural contexts.